C’est la Vie” accepts both local and international travelers; however, there is a three-night minimum stay policy from January 4th to December 18th. 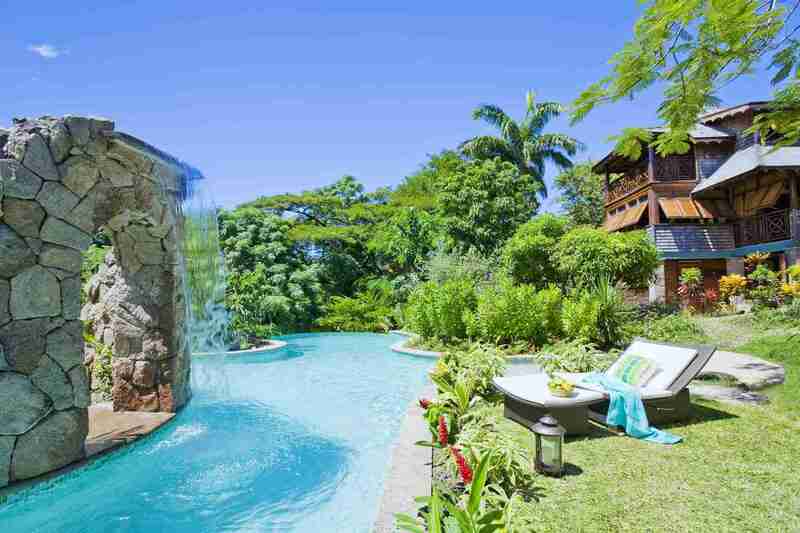 Located at the Southern end of touristic Rodney Bay St. Lucia, “C’est la Vie” is a luxury villa specially designed for guests who wish to live their vacation on a whim. It offers Guests a completely relaxing environment with freedom to choose what to do and where to go. It is close enough to be a part of the activities yet, due to its location, remains apart from and undisturbed by the bustle. 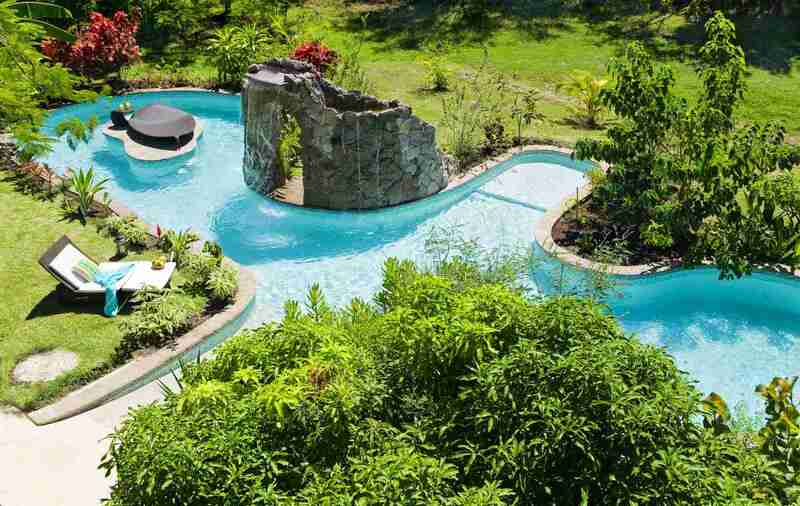 It stands amidst a lush tropical garden surrounded by flowering shrubs, fruit trees, and a large free-form swimming pool. It is only a stone throw from a secluded cove, which is home to many different species of fish, making it ideal for snorkeling. A quiet and beautiful golden sand beach is located about five minutes walk away on the other side of the peninsula. 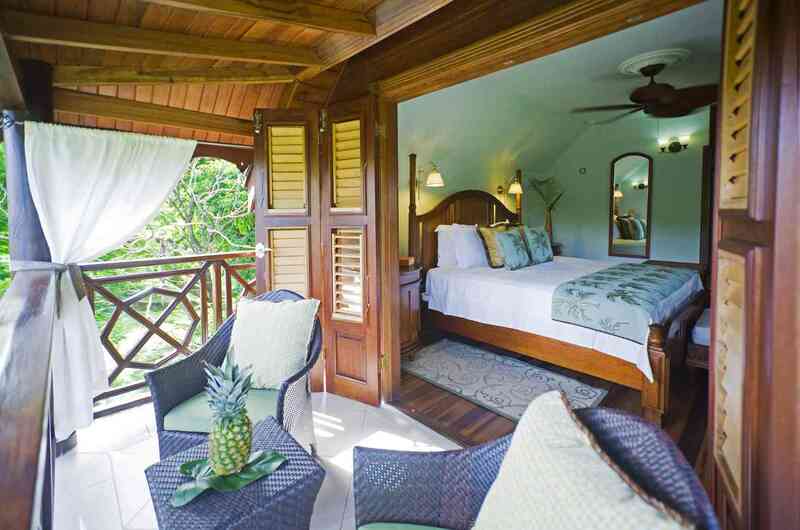 The five bedrooms of C’est la Vie exude an authentic Caribbean ambiance with natural breezes combining with ceiling fans to comfort and nurture you whilst air conditioning is available if required. 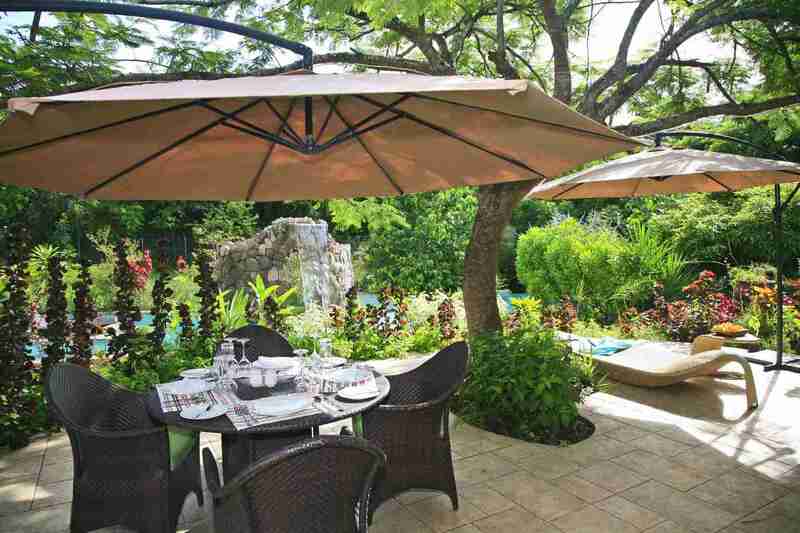 “C’est la Vie” will accommodate ten Guests in total privacy complemented by exceptional service and comfort. The uniquely designed accommodation at C’est la Vie includes an exquisitely decorated three bedroom Villa, each with an en-suite bathroom and a private verandah and named after a nearby tree. The front door of the Villa leads into a reception lounge with stairs leading up to the Gallery which is a quiet space for reading or watching television. 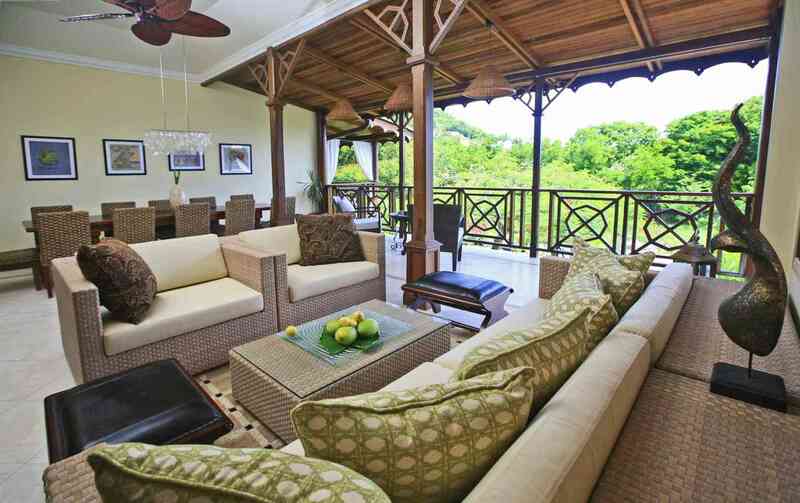 The Lounge leads into the spacious Sunroom, which overlooks the Terrace and swimming pool. A spacious one bedroom apartment set at pool level under the Flamboyant Villa’s bedroom wing leads into “C’est la Vie’s” tropical garden. 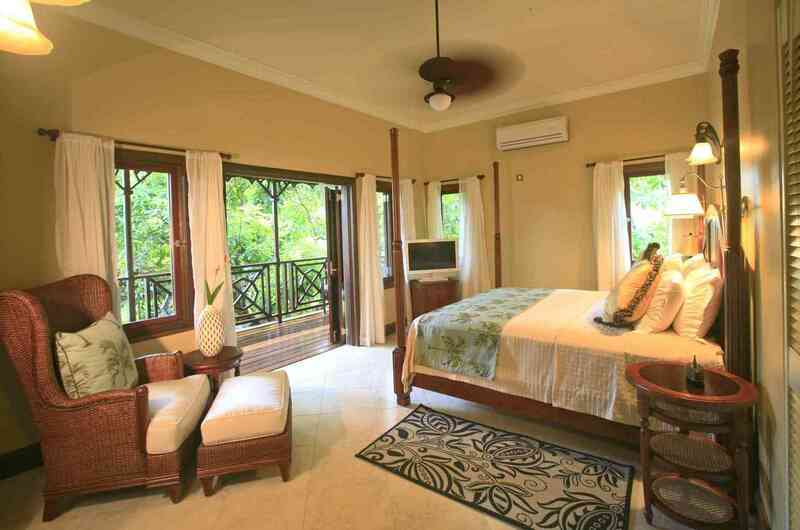 The verandah is comfortably furnished for relaxing during the day and perhaps dining in the evening. The Master bedroom is reached through double sliding doors and leads into the large ensuite bathroom where the handmade soaking tub immediately catches the eye. A spacious one bedroom Cottage on two floors designed for year round living and has generous living areas. 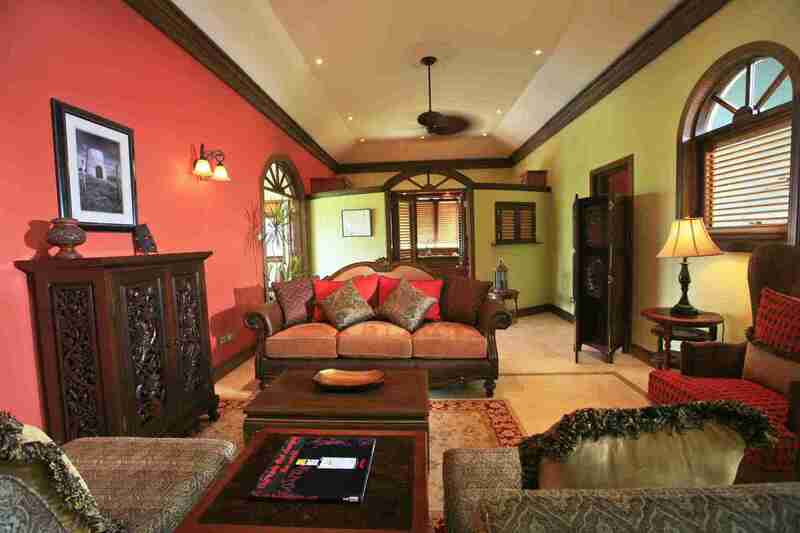 The upper floor contains the immaculate and cozy Royal Palm Suite. A connecting door leads into the study, which is equipped with a sofa bed. For shorter periods it is possible to accommodate two extra Guests in the study share the master bathroom. 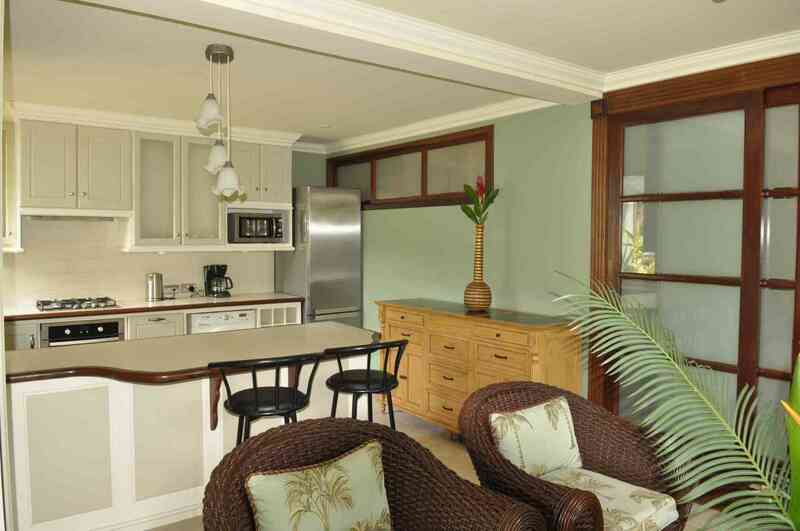 The ground floor spells total relaxation and is equipped with a second bathroom. The Staff of C’est la Vie is experienced, dedicated and always accessible. An internationally trained Butler assists Guests throughout their stay and is on call at all times.